1.The roasting machine also called roaster frying machine. 2.It is a kind of food process machinery which can be used to roast the chestnut, peanut, almond, melon seeds and walnut etc. 3.The rotary drum brings even heating and no burn to the beans. 5.At present, the roaster is the most ideal roasting equipment. 1.The machine adapts to roll and heat transmits and radiation by galvanothermy pipe, and have auto-control temperature set in roasting course. 2.The materials are roasted by hot air and are pushed and circulated in a continuum manner, in this way. 3.the product will be heated equally, in order to ensure the products have good quality. 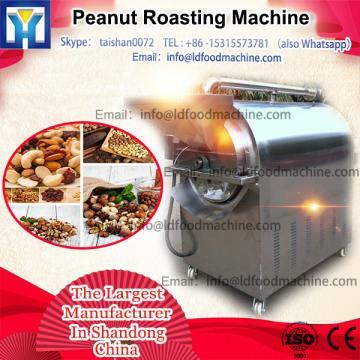 Welcome to contact us through Peanut Roasting And Peeling Machine/Coated Peanut Roasting Machine,we will recommend according to your requirement. If during closing time or weekend,Please send mail to us,we will response within 24 hours.